Pumpkins can easily pull off the look of a crooked grin, missing teeth, and a devilish smile. But when it comes to our own teeth, we prefer to have them straight and white, and we really don’t want to see gaps. That’s why our dental office in Chester offers multiple forms of cosmetic dentistry so that you can get the smile of your dreams. From crooked teeth to gaps, orthodontics can help solve a variety of smile concerns. There are several types of orthodontics now available to patients looking for a smile-straightening solution. Treatment options can range from traditional orthodontics of wire and brackets to newer clear aligners, or even a hybrid of the two with tooth-colored wires and brackets. Your dentist in Chester can help you find the best option for you. 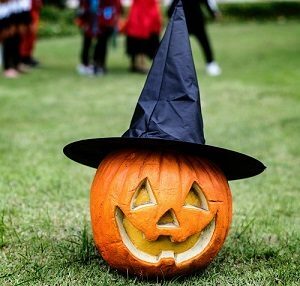 Just because we’re in the heart of jack-o-lantern season doesn’t mean you need to continue to hide a smile that spooks you. Give our Chester dental office a call today to talk about how cosmetic dentistry can transform your smile.